Let’s be real, many people refer to me as the “Coffee Addict”, as I’m known for my love for coffee. But those close to me know that my coffee time is very important to me and I cherish these moments especially when I share it with my loved ones. 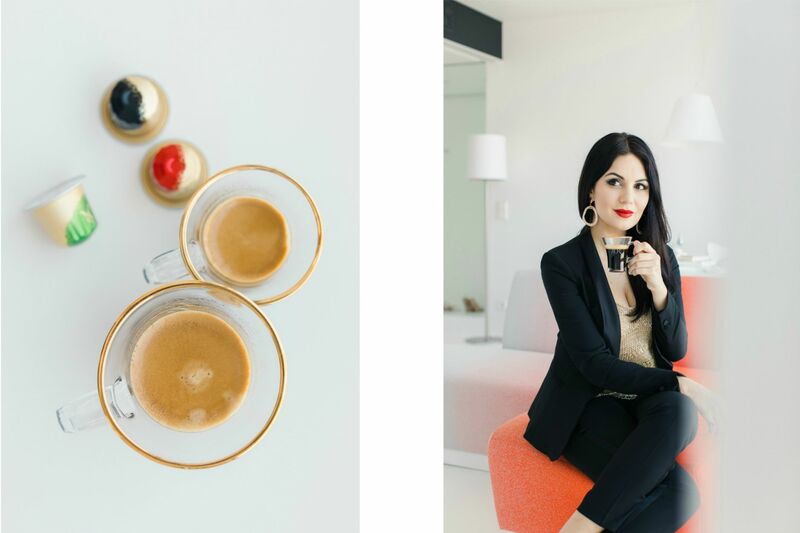 Nevertheless, it’s also the ‘Me Time’ that I get from my day to relax, enjoy the moment and think peacefully about what to do next.I have been L’OR lover since it has been launched in Austria, and ever since I have been addicted to every variety of the L’OR coffee capsules. But receiving the greatest news of being “L’OR taste ambassador” is one of the best things that happened to me lately. Moreover, I will represent L’OR at one of this year’s most important AIDS charity events, the Life Ball in Vienna. Numerous international celebrities from the world of fashion, entertainment, and politics work tirelessly every year to raise awareness for this issue. The City of Vienna also contributes significantly to the success of Life Ball. Providing Vienna’s City Hall as the venue for this event clearly shows this city’s tolerance and social responsibility. This year Life Ball celebrates its 25th anniversary and L’OR will be an official sponsor and the exclusive coffee partner. I am incredibly honored to be “L’OR taste ambassador” at this year’s Life Ball. In collaboration with the talented Austrian fashion designer Eva Poleschinski, who will create a tailor made gown that I will wear exclusively at Life Ball on 2nd of June. After the event, the dress will be auctioned for a good cause. I can’t wait to share soon on my blog and social media channels more about L’OR, the Life Ball and what I will wear to the event. Created in France in 1992, L’OR’s ambition has always been to offer the best coffee in the world. Since then, L’OR has seduced senses of the consumers by providing them with intense taste experiences for fantastic coffee moments. Since 2017 L’OR is also available in Austria. There are seven varieties of L’OR capsules offered in Austrian supermarkets. As well as, the L’OR online shop provides 19 varieties of capsules in total for every taste. Moreover, L’OR offers two blends of high quality coffee beans: L’OR Crema Absolu Classique and L’OR Espresso Fortissimo are both available at Austrian supermarkets. Every L’OR Espresso blend is made from coffee grown according to sustainable production methods which is 100% UTZ certified. 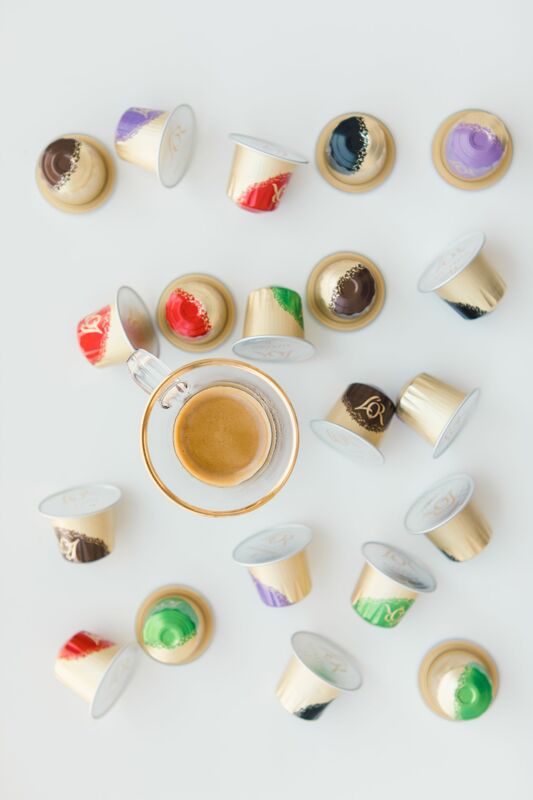 L’OR Espresso capsules are made from aluminium for a gold standard espresso. Each variety provides an intense taste and a great balance of smooth and rich flavors for a unique coffee experience. L’OR offers a great recycling system for the espresso capsules. Customers can deliver the capsules after use in approximately 1,200 Austrian pickup parcel shops of DPD. A suitable recycling box for the return is available free of charge at pickup parcel shops from DPD. A list is available at lorespresso.at. After return, the capsules are collected and recycled in Austria. Tradition: I grew up in a country where coffee is culture and tradition. Luckily I am living in a country, where coffee is as important as in my birthplace. Best aroma: As soon as I smell coffee aroma, I instantly feel less stressed. Taste: besides the flavor which is full of intensity and richness, its taste delightfully forces me to enjoy every single sip with utmost pleasure and no sense of time. Awakeness: the boost of energy is exactly what I need to start my day. Happiness: Because it takes me to another peaceful and calmer world.